​We all know that colds are no fun, but for those that have been stuck inside during an especially brutal winter, they are inevitable. Especially in the office, where colds seem to spread at the speed of sound. In-fact, I bet you could place the source of multiple coworker coughs without even looking. I wonder though, could you also place your dog’s cough? 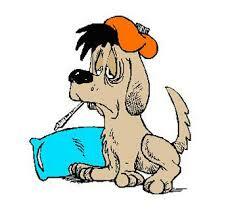 Parainfluenza: Canine parainfluenza is a highly contagious viral infection. Parainfluenza is a major component in canine infectious respiratory disease. It is most likely to affect dogs when crowded together with other exposed or infected dogs. Ask your veterinarianabout vaccinating against this disease. Regardless the emotional comfort people might get from continuing doing what they are used to, a past mistake is not rectified by being repeated.